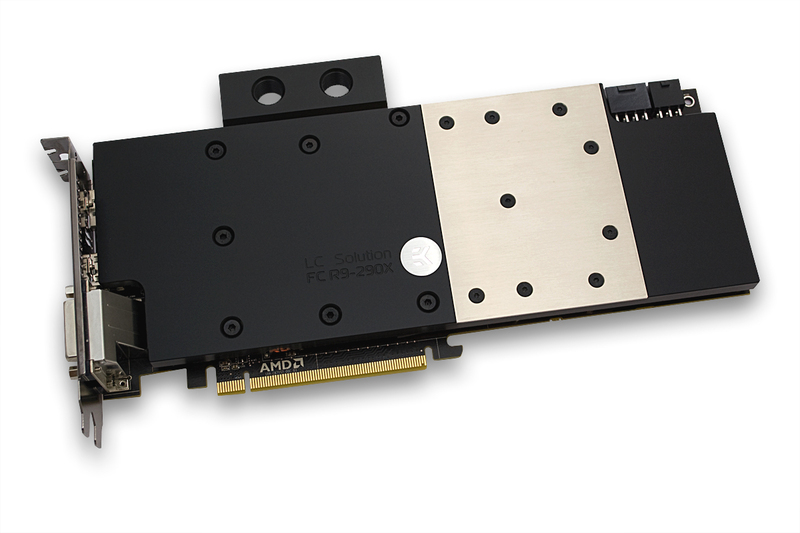 EK Water Blocks, Ljubljana based premium water cooling gear manufacturer, is pleased to announce that the existing EK-FC R9-290X series water blocks are compatible with reference design AMD® Radeon R9 290 graphics card officially launched on November 5th 2013. In order to simplify the search for suitable and compatible water block EK has added more than 8 different Radeon R9 290 graphics cards from various manufacturers to EK Cooling Configurator database and compatible graphics cards are being added to the list on daily basis. EK-FC R9-290X is an industry first high performance full-cover water block for AMD reference design Radeon R9 290X and -290 graphics card, first released on October 25th 2013. This water block directly cools the GPU, RAM as well as VRM (voltage regulation module) as water flows directly over these critical areas thus allowing the graphics card and it’s VRM to remain stable under high overclocks. EK-FC R9-290X water block also features a very high flow design therefore it can be easily used in liquid cooling systems using weaker water pumps. The cooling engine now uses refined, 0.6mm wide microchannel structure to even further improve the heat transfer while not sacrificing the famous low hydraulic restriction design. Made in Slovenia, Europe! The product is available in several different variants and is readily available for purchase through EK Webshop and Partner Reseller Network.